today we have a nail treatment for review, Nail Tek II Intensive Therapy, which is made 'for soft, peeling nails'. it's a protein liquid treatment that you paint on just like a nail polish. 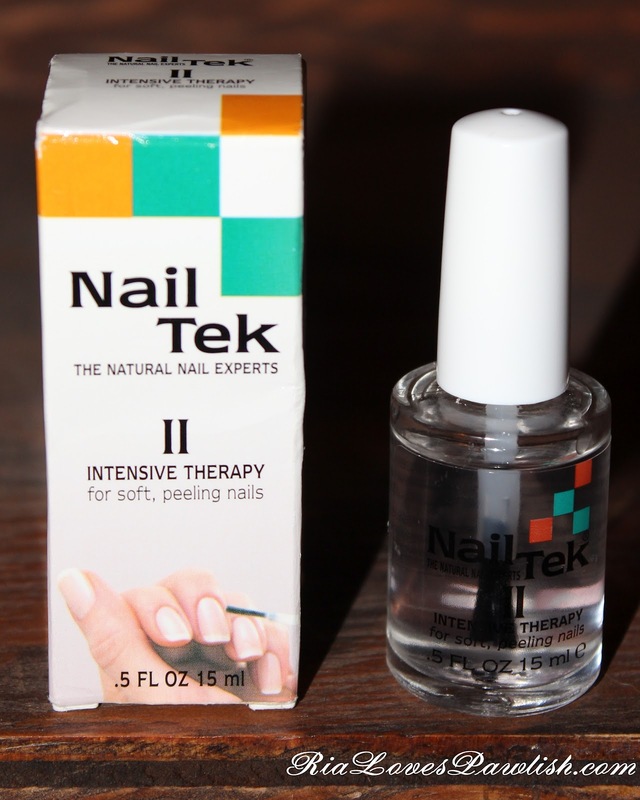 i have been using it for a while now, and i have noticed a difference in the breakage of my nails, i'm also actually able to file my nails now without them just shredding off. it has not completely eliminated peeling, but it is better! i have been using it as a basecoat, and i'm not loving it that way. it tends to be slightly lumpy and that shows when you add color over it. adding a topcoat helps to diminish the effect, but i'd prefer something smoother under colored polishes. if you are using it by itself, it dries shiny on its own, but adding a topcoat like Seche Vite to it gives it that extra sparkle! the bottle comes in a box, here's what they look like!